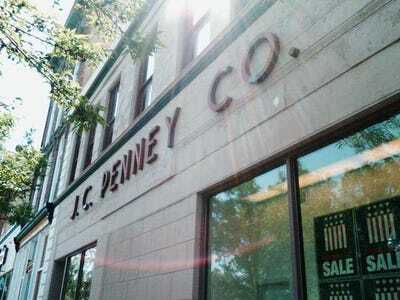 JCPenney burning through resources to pull off a turnaround. With same store sales down 32 per cent, its running out of time. But even when completed, JCPenney’s boutiques and low prices won’t bring people back to its stores, consumer service expert and bestselling author Grant Cardone told us. Because customers don’t feel welcome in JCPenney stores, they aren’t compelled to come back, Cardone said. The marketing, while “brilliant,” is too similar to Target’s, Cardone said. Trying to draw customers in using price isn’t effective either. The company did away with sales and did a marketing campaign advertising that it had the lowest prices, though it’s since backpedaled. Johnson has also said that he’d like to get rid of the person working the cash register, and will move toward iPads and self checkout by the end of this year. But JCPenney’s only hope is improving customer service by investing in employee training, compensation, and culture, Cardone said.